Water used for irrigation can contain high levels of nutrients, some of these nutrients are beneficial for the plants watered, but can also lead to extensive algal growth. Algae in irrigation tanks can clog the irrigation system and can also be spread over the irrigated area. In addition, some types of fungus, also present in these waters, can be harmful for the plants grown. Therefore the quality of water in an irrigation system can be of critical condition for the performance of a nursery. Covering up the reservoir does not always solve the problem: Because covering the reservoir may lead to the built up of high temperatures underneath the cover, this can lead to more extensive growth of bacteria and other micro-organisms. Chemical treatment may damage the crops and farmland. Aeration, where oxygen is added to the water, alone does not suffice either. The LG Sonic products are very easy to install. The transducer and float are being placed inside the water reservoir. The units can be turned on by connecting them to the power supply (electrical or solar). In operation the units will [emit ultrasonic sound waves, which are inaudible for humans. The ultrasound waves will travel through the water reservoir, bringing algal cells in vibration on its path. When brought into vibration these algal cells may rupture leading to the death of the algae. In most cases the algae will sink to the bottom of the water reservoir, from where they can easily be removed. Further, the growth of new algae will be inhibited resulting in cleaner water and less blockage of filters, drip- and sprinkler installations. In addition, irrigation systems need fewer cleaning and thus become more cost and labour effective. 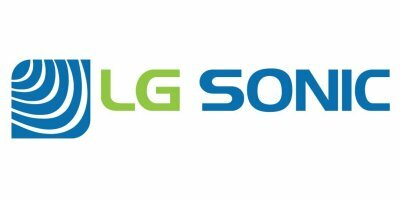 Reviews have been disabled for Lg Sonic Ultrasonic Algae and biofilm control for irrigation case study.